There’s no doubt about it – apples are in season at the Calgary Farmers’ Market right now! We all have our favourites, that’s for sure, but if you’re looking to do more than just bite into a refreshing snack – do you know which apple is best for the job? I took a moment to chat with Chris Souto of Souto Farms to learn a bit more about the plethora of apple varieties they carry at the market. They currently have 10 varieties of apples to choose from; read on to learn a little bit about each one! Honey Crisp – This delicious eating apple is a top seller at Souto Farms; it is the crispest, biggest and hardest to grow. The results are worth it though for this sweet, tart, juicy favourite. (Season: early September – late January). Ambrosia – This medium sized apple is a crisp, sweet eating apple. It also happens to be Chris Souto’s favourite! (Season: mid September – late May). Pink Lady – Another medium sized eating apple, the Pink Lady is tart, but full of flavour and super crisp. This later season apple isn’t harvested until November. (Season: early November – late May). Gala – The Gala is an older generation eating apple. It’s sweet, with a medium crispness. The Ambrosia is slowing taking over the place the Gala used to hold at Souto Farms. (Season: early September – late May). Mac – Most people are familiar with the classic Mac; it is one of the older generation apples that Souto Farms carries. Its softer texture and tart taste make it best for cooking, though in season it’s still an enjoyable eating apple. (Season: late August – late May). Granny Smith – This apple is super crunchy and very tart! It is another older generation apple that is very popular in cooking. (Season: mid October – late May). Aurora – This small apple is slightly crisp, and the sweetest that Souto Farms carries. It is a great eating apple, but also makes a wonderful apple sauce. (Season: October – mid January). Golden Delicious – The Golden Delicious is a classic. It is a very, very old generation apple that is sweet, crisp and perfect for eating. (Season: late September – late May). Spartan – Another old generation apple, a bit sweeter than a Mac, but still tart, the Spartan is good for eating. It may be small, but it’s still slightly crisp and makes a great snack. (Season: late September – late May). Empire – With a slightly crisp texture, small size and sweet taste, this old generation apple is a nice eating apple. Maybe less popular that the other varieties, but still delicious! (Season: mid October – late December). 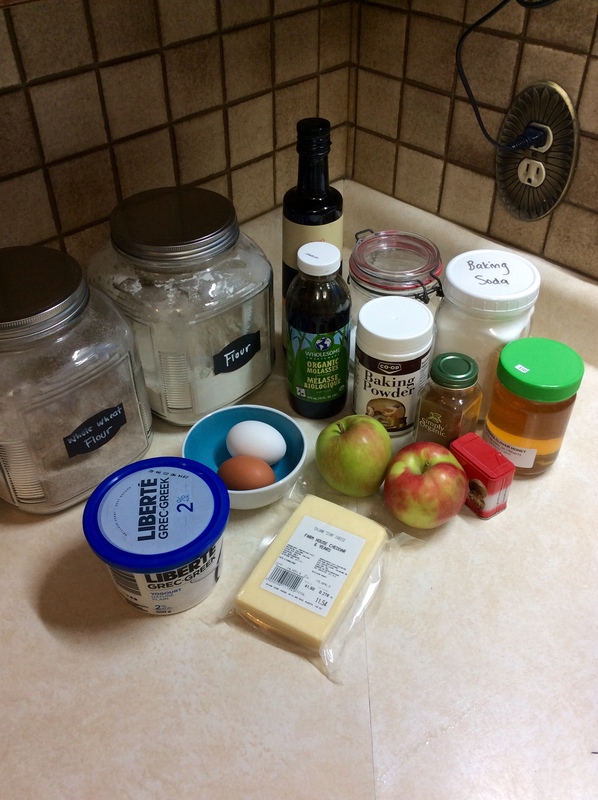 All this apple research had me seriously craving some elaborate apple creations – but sometimes simple is best, so I decided on this simple Apple Cheddar Muffin recipe. Who doesn’t love apples and cheese, anyway? Right? *Sylvan Star Cheese has more than just cheese! They’ve also got a selection of eggs, yogurt, organic milk and goat’s milk – basically a one stop shop for dairy! **While Beeland has a huge variety of honeys, especially this time of year, I chose their basic all-purpose clover honey for this recipe. It’s the best value in cases where honey isn’t necessarily the star of the show! *While I used baking supplies on hand in my home, you can source many flours and other baking ingredients from Blush Lane Organics at the market! First, preheat your oven to 350° F. Grease your muffin pan, or line with muffin liners. 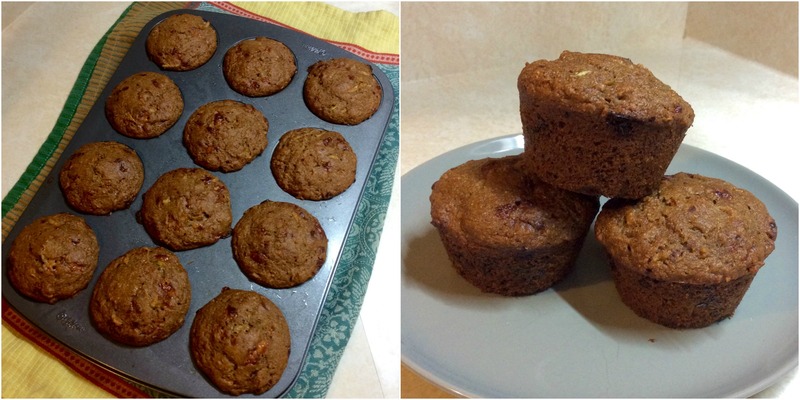 This recipe makes 12 muffins. Stir dry ingredients together in a bowl (flours, baking soda, baking powder, salt, and spices). Toss in the cheese and mix until it is evenly distributed. 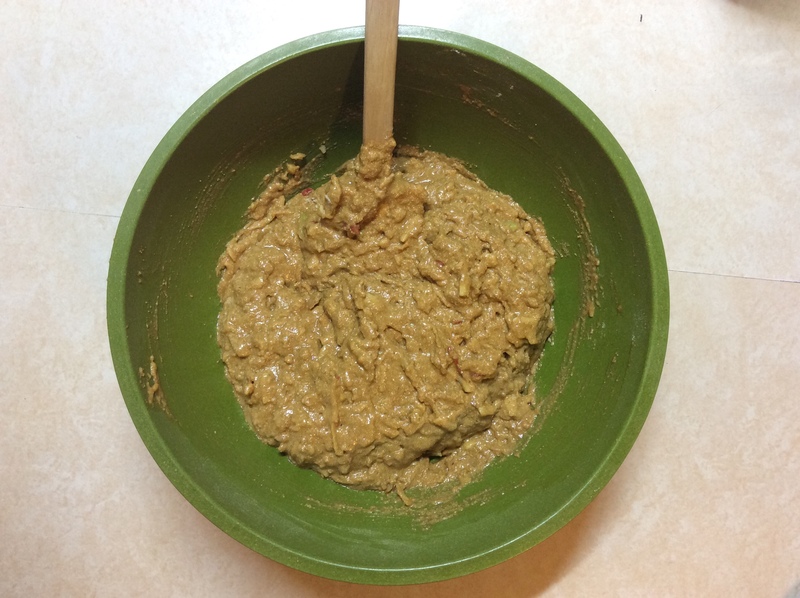 Whisk wet ingredients together in a separated bowl (eggs, honey, molasses, oil, and yogurt). Stir in the grated apple and mix until is it evenly distributed. Add the wet ingredients to the dry ingredients and gently stir until just combined. Might not look like much, but the smell of the apples at this point made my mouth water! Pour the batter into the muffin pan, and bake about 30 – 35 minutes. Cool the muffins in the pan for about 10 minutes before transferring to a wire rack. I like these best served with a pat of butter, but you could also go big and melt a fresh slice of cheddar on yours. Try your best not to eat them all at once!